The Parliament was stalled yesterday over an alleged land scam involving Congress President Sonia Gandhi’s son-in-law Robert Vadra. The BJP had not raised the issue when it came to light last year. However, the party and changed its stand after the Congress went after Nitin Gadkari and launched an all-out attack, putting the Congress on defensive. It was alleged that Robert Vadra got acquired huge land in Rajasthan much beyond the prescribed ceiling and sold those off at a high rate to the same people. The deals were made soon after Ashok Gehlot took over as the Chief Minister of Rajasthan. 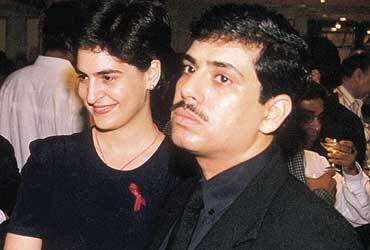 Vadra’s land deals also surfaced in Haryana where Congress is in power. The BJP raised the issue in both Houses of the Parliament. The BJP MPs showed placards, taunting the Finance Minister to learn from the “son-in-law” how to earn profits sitting at home to reduce budget deficit. Sonia Gandhi was present in Lok Sabha at that time.